Moscow sees no reasons for Washington to impose restrictive measures on Damascus because no facts confirming the Syrian government's alleged role in the Idlib chemical incident have been established. GENEVA (Sputnik) — Russia sees no grounds for the United States to impose sanctions on Syria following its accusation that Damascus carried out the reported April 4 chemical attack in Idlib, Russian Deputy Foreign Minister Gennadiy Gatilov said Tuesday. "The fact that they imposed sanctions against Syria: we see no reason to do so because there were no facts confirming [the Syrian government's involvement in the reported incident in Khan Shaykhoun]," Gatilov told reporters. The US Treasury Department's foreign asset control office sanctioned 271 Syrian Scientific Studies and Research Center (SSRC) employees on Monday in what Treasury Secretary Steve Mnuchin called "one of the largest ever" actions. Washington suspects the SSRC of producing chemical weapons. "We proposed sending an independent expert group to verify these claims. Unfortunately, the US did not support this initiative," Gatilov said. The West has accused the Syrian government of carrying out the chemical weapons attack in Idlib province on April 4. Syrian Foreign Minister Walid Muallem denied the government’s involvement in the Idlib incident, saying it had never used chemical weapons on either civilians or terrorists operating in the country and will never do so. The Syrian army has said it does not possess chemical weapons. On April 6, despite Russia's call for a thorough investigation into the incident, the United States launched 59 Tomahawk cruise missiles at the military airfield in Ash Sha’irat, located in the vicinity of the Homs city. US President Donald Trump said the strike was a response to the alleged chemical weapon use. 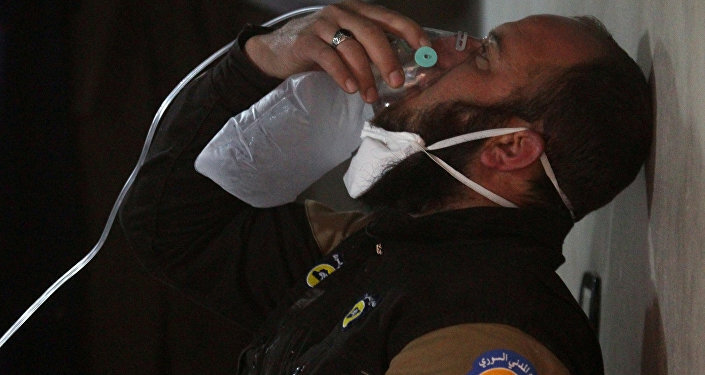 Damascus joined the Convention on the Prohibition of Chemical Weapons after a major sarin gas attack in Syria's East Ghouta in 2013, agreeing to destroy its stockpile under Organization for the Prohibition of Chemical Weapons (OPCW) oversight. In January 2016, the OPCW announced that all chemical weapons in Syria had been destroyed.